Mathematics Applied in Engineering presents a wide array of applied mathematical techniques for an equally wide range of engineering applications, covering areas such as acoustics, system engineering, optimization, mechanical engineering, and reliability engineering. Mathematics acts as a foundation for new advances, as engineering evolves and develops. 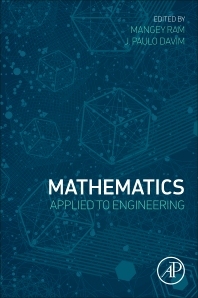 This book will be of great interest to postgraduate and senior undergraduate students, and researchers, in engineering and mathematics, as well as to engineers, policy makers, and scientists involved in the application of mathematics in engineering. J. Paulo Davim is Professor at the Department of Mechanical Engineering, University of Aveiro, Portugal. He has more than 30 years of teaching and research experience in manufacturing, materials and mechanical engineering. He is the Editor-in-Chief of several international journals, and is currently an editorial board member of 30 international journals. In addition, he has published in his field of research, as author and co-author, more than 60 book chapters and 400 articles for journals and conferences.